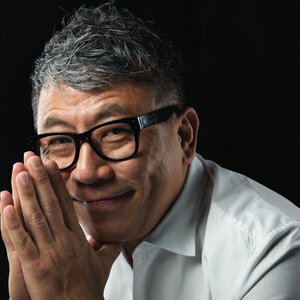 Norman started his career in hometown Singapore before expanding his role across the region in Grey, Leo Burnett, JWT Taiwan & SEA, Bates and Lowe China. In Oct 2014, he took helm as North Asia CCO and China Chairman in JWT Shanghai. He has sat as jury in major award shows including Cannes, D&AD, The One Show, Spikes Asia and Adfest. Norman’s most recent metal haul included a Gold, Silver and two Bronze Cannes 2014 Lions in Print, Outdoor and Film for “Human Traffic Signs”, a public service campaign for Buick/Shanghai GM. The same campaign also won Yellow, White, Graphite, and two Wood D&AD Pencils, and two One Show Gold pencils and Merit Awards in 2015. Global Gunn Report & Good Report rated “Human Traffic Signs” as Most Awarded Print Campaign and No. 1 Social Responsibility Campaign in the world. While the prestigious Longyin Review awarded Norman “Top Creative Director in Greater China” in 2014. He has just published his book “10 Years: 100 Postcards to Creatives” – a collection of anecdotes and observations of the industry.